Carry a Visa Card from the people you know and trust! Make the move. It's the only credit card you'll ever need! Contact PrinsBank for more information. 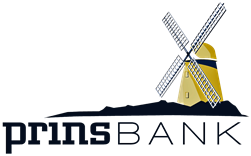 Please notify PrinsBank immediately in the event of loss or theft.